In a constant barrage of new noise from Portland-based D.I.Y. noisemongers Eolian Empire, the label’s next conquest comes by way of the filthifying new 12” from local metalworkers DRUNK DAD. If they weren’t such dirty fuckers they’d be one of the town’s shining success stories of unrelenting hard work and dedication: in a surprisingly short time DRUNK DAD went from favorite-band-shirts-on-their-hearts-on-their-sleeves to a unique and dynamic fusion of the heavy, the noisy, and the aggro, with a healthy dose of high drama, as they consistently churn out some of the most devastating live sets Portland has seen in years. Complex but in-your-face arrangements, push-pull duel-guitar interplay, searing behind-the-head leads, heavy motherfucking bass, and hard-hitting, tight, technical traps with dynamic, disturbing vocals to hold it all together evolves to ethical scumbaggery at its finest. Morbid Reality, the first vinyl release from Portlandian shitstarters DRUNK DAD, merges off-kilter sludge/noise the Pacific Northwest perpetuates so well into a drugged-out but aggro vibe; elements of scathing crust-ish degenerate punk brutality of El Dopa or Dystopia are cold-filtered with slow-motion acerbic sludge basslines and noxious riffage with a post-Melvins experimental vibe. Eolian Empire will drop the four-song Morbid Reality via 12” vinyl and digital download on June 11th. 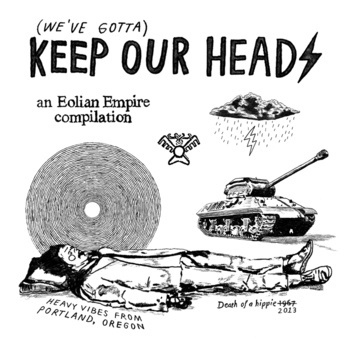 In the meantime, DRUNK DAD were recently caught intoxicating the public via Eolian’s massive KEEP OUR HEADS Portland underground compilation alongside twenty-five more of the city’s finest filthriffing acts. Get wrecked with their pungent “S.O.U.” anthem from the comp RIGHT HERE. Following their spot on one of the Eolian Empire KEEP OUR HEADS record release shows over the weekend, DRUNK DAD have the coolers loaded with frothy ammo as they plan on stumbling south across California this week, with shows booked in Eureka, Oakland and a happy-hour double in San Francisco. They also just booked a hometown record release show at Portland’s Ash Street Saloon with labelmates Diesto on June 7th, with much more public drunkenness to be had in the Summer months. * For more info on DRUNK DAD, click on the links below! 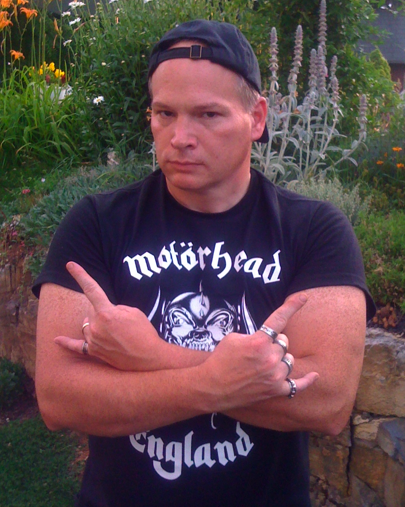 This entry was posted on April 30, 2013 at 3:50 pm and is filed under experimental rock, grindcore, Music, noise rock, rock music, rock music news with tags drunk dad, drunk dad s.o.u., experimental rock, grindcore, noise rock, sludge metal. You can follow any responses to this entry through the RSS 2.0 feed. You can leave a response, or trackback from your own site.